HIGH DEFINITION OPTICS® (HDO®) combines patented optics and PLUTONITE® lens material that provides 100% UV filtering and unsurpassed impact protection. 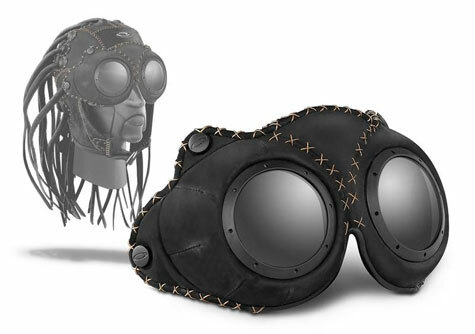 Militant design with 8-base lens curvature for vast peripheral view, durable PLUTONITE® lens material with 100% UV protection, Black IRIDIUM® lens coating for precisely tuned light transmission, stitch detailing, and rivets for attachment to leather skullcap (sold separately). For those who pursue defiance without restraint.